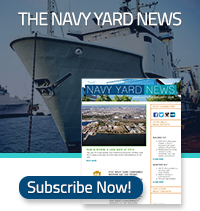 We invite you to visit the Navy Yard! The campus is open to the public. Visitors can reach the Navy Yard by subway, shuttle, car, bike, bus, and on foot. Use address 4500 S Broad Street, Philadelphia, PA for GPS navigation to the Navy Yard. When entering the Navy Yard at the Broad Street gate, please stop at the security booth, and a member of the staff will be able to assist you with additional directions. You may download a copy of the NAVY YARD MAP or security can provide you with this map upon arrival. The Navy Yard is bike friendly with bike lanes and bike racks throughout for employees and visitors. Three Indego bike share stations are located inside the Navy Yard, two are located at NRG Station (Broad St & Pattison Ave) and many more are located in the surrounding neighborhoods. For more information, visit Indego. The Navy Yard is easily accessible via subway. Take the SEPTA Broad Street Line to reach NRG Station, and then connect with the free Navy Yard Loop bus. Explore the Navy Yard Campus Directory, with more than than 152 companies in the office, industrial/manufacturing, research and development, and retail sectors. Have other questions? Contact us for assistance.